The scorebug initially indicated two points for Texas Tech, but it was really two for Oklahoma. After this, Oklahoma scored another touchdown of their own to extend the lead to 51-40. Texas Tech struck back with a score of their own, but another failed two-point conversion meant they still trailed by five with 1:05 left, and a failed onside kick meant the Sooners came away with the win. 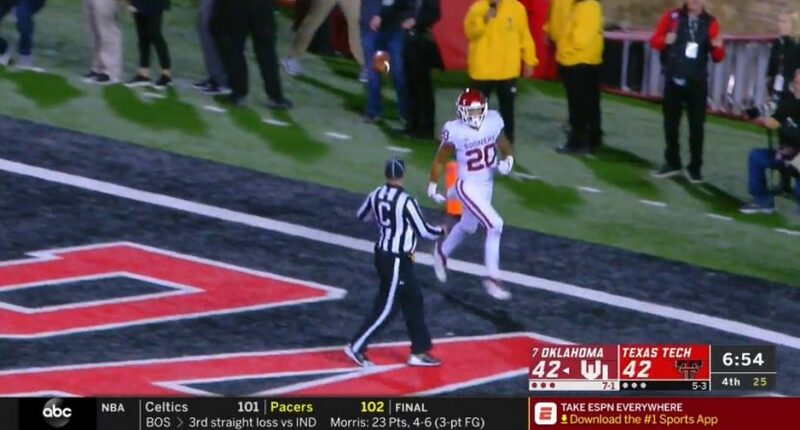 But this two-point conversion that went the other way was a huge turning point, and a huge factor on Oklahoma’s survival here. It was also one of the strangest college football plays in a while.